A land-owner came looking for fruit on his fig tree, but it was barren. So he called the gardener and said, “This fig tree isn’t producing anything! There was a prolific fig tree in Grandma Ross’s orchard. That fig was truly a tree – it was taller than the walnut trees around it, bending its branches down to the ground, where they rooted again and again, taking over a whole corner of the orchard. Our boys loved that tree, hiding under its branches, and eating the figs. When they finally came out from under it, their faces were always smeared with fig juice. If fig trees usually produce so many figs, what’s wrong with the fig tree in Jesus’ parable? After years of waiting, it’s still just a bush. Maybe we can get a clue from Exodus, which tells us of another kind of bush. 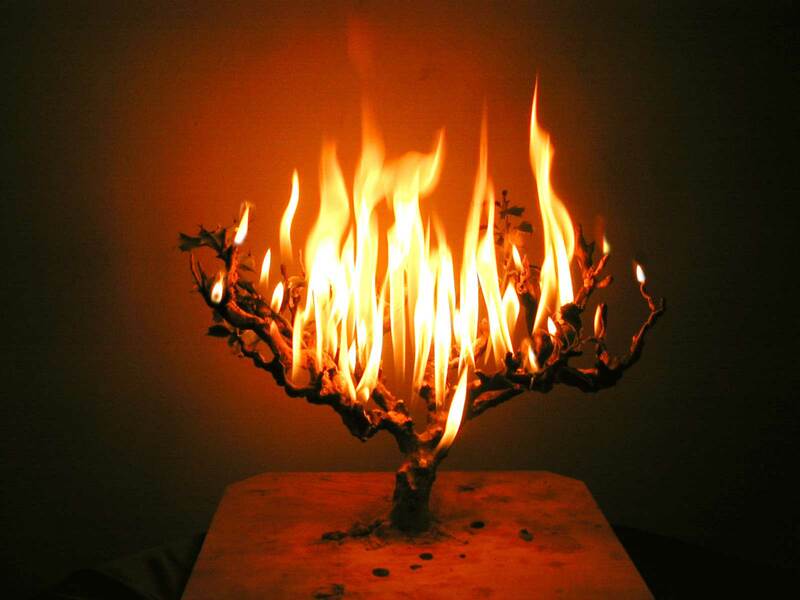 The LORD appeared to Moses in a flame of fire out of a bush. I am who I am …. or …. I will be who I will be. But there’s yet another way to understand this text, not just literally (knowing the letters), but spiritually (knowing what the text means). simply means, 4 letters) – Y, H, V, H.
Wherever the Jews saw these four letters in the text, they would not pronounce them. Instead, they would substitute another word – Adonai (the Lord) or Elohim (God) or Elohim ‘ayyim (the living God). And today, when you read Exodus in an English Bible (or in our bulletin this morning) you’ll see that the English translators have followed the ancient Jewish custom: instead of printing God’s Name, they have substituted L-O-R-D (always in capitals). 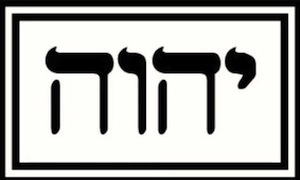 Wherever you see L-O-R-D, the original Hebrew has Y, H, V, H.
“Many are convinced that these four letters represent (and even imitate) the sound of breathing in and breathing out. If they are right, that means God’s Name was not spoken at all – it was breathed! “Now if God’s Name is breathed (not spoken), this means that…. the Name of God is our last word as we leave this world. “And it also means that Y—H—V—H is …. the breath of hope, and the breath of life. “Notice that there is no American, African, or Asian way of breathing…. There is no Protestant or Catholic way of breathing. There is no Jewish or Muslim way of breathing. There is no rich or poor way of breathing. To live fully, we humans need to learn how to breathe the breath of God, whose Spirit permeates us and everyone else on earth. Indeed, the Spirit of God, the breath of God, fills the whole earth, and everything that lives upon it. I don’t know who, or what, provoked Jesus to tell this parable. Maybe it was the religious leaders, stuck in their old ways of thinking. 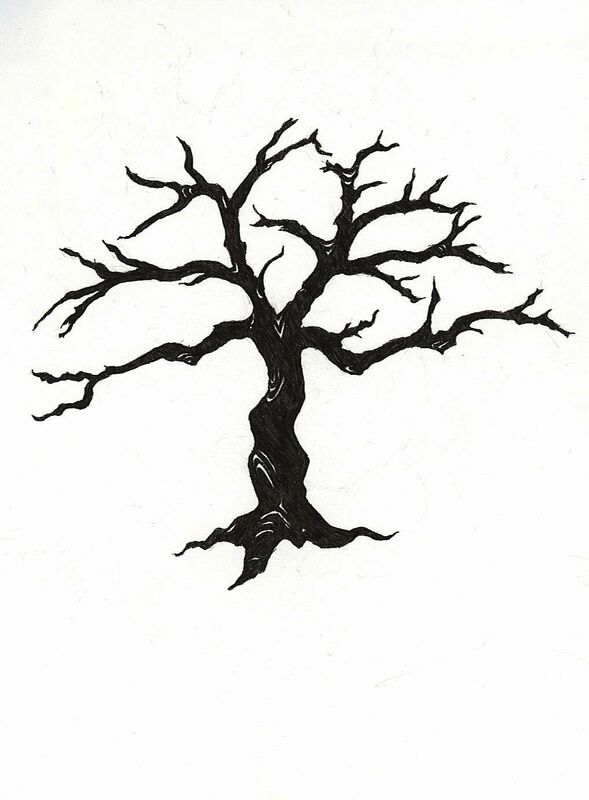 But whoever it was, Jesus saw that their roots were stuck in hard, hard, ground. 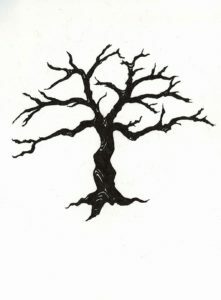 Let the roots breathe, said the gardener to the landowner. Everyone who’s ever kept a plant knows that they need to water it. But did you know that roots need air as much as water? It’s very common to see hard, compacted soil in people’s gardens or pots. Whenever the soil has no air left, roots struggle to breathe. Roots, and people, need to breathe. 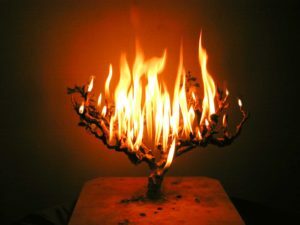 What was wrong with the fig tree? so its roots could breathe again. What do you find overwhelming these days? The suffering of so many, many people – all around the world? Your own health? The health of someone you love? Our threatened environment? The next natural disaster? Our country’s politics? Our world’s divisions? God sends us, like Moses, to set his people free. But most of us are just like Moses — we don’t think we’d make good leaders. After all, we think, what can I do? let’s remember to let the Holy Spirit breathe through us. I try to remember to begin with the Yahweh prayer. This prayer can free us to live fully in spite of our fears. Prepare in the desert a highway, a highway for our God! Make straight all the crooked places where the Lord our God may go! This Advent hymn perfectly captures the excitement of the herald on the desert road, calling people to prepare a way for the coming king. Even today, in desert landscapes the long roads from one town to another always need repairs after a winter’s winds and rains. In Jesus’ day, the major Roman roads were made of stone, but throughout the empire other roads were still tracks through dirt and sand. So at the end of each winter, the highways needed to be made smooth again…. the rock slides cleared off, the deep holes filled…..the drifts of sand swept away. 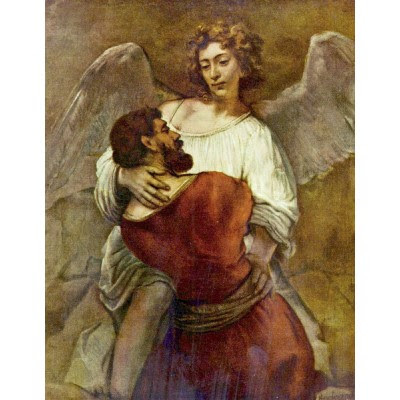 And now the prophecy is retold by Luke, with John the Baptist as the herald. Like all heralds, John’s job is to clear the way for the One who is coming next. But also — and here John the Baptist sounds a new note — those who serve the coming king will not only smooth out the rough places and fill in the potholes so the king can come to his people: this king is going to turn the world upside down. O Zion, that bringest good tidings, get thee up to the heights and sing! Proclaim to a desolate people the coming of their King. The power and pomp of nations shall pass like a dream away. Luke’s Gospel has 24 chapters, and every chapter proclaims the greatness of the Lord. It’s not just the eleventh chapter, where Luke collects Jesus’ teachings on prayer: the Lord’s Prayer (Luke 11:2-4) and the prayer of persistence (Luke 11:5-13); or Jesus’ own prayers in his Last Supper, which we find near the end of the Gospel (Luke 22:14-20). And it’s not just Luke’s middle chapters, where he records some of Jesus’ greatest parables: there’s the great banquet in chapter 14, to which the host invites not his family, nor the rich and powerful, but the poor, the crippled, the lame and the blind (Luke 14:7-14). And there’s the joy of God the Father in chapter 15, which Jesus portrays through the parables of the lost and found: the lost sheep, the lost coin — and the prodigal son (Luke 15:3-32). I’d like to encourage you to read Luke’s Gospel this year: for the history that Luke tells us… for the stories he collects … for the parables he remembers… for the prayers he gives us … and above all, for this Gospel’s truth and beauty. I’d like to encourage you to read this Gospel from beginning to end, so you can see and hear the whole story. Read just a bit at a time…. then meditate on what it means to you. And then, when you come back to the Gospel, pick it up where you left off. You can read the Gospel on your own, or with a member of your family, or with a friend, or a group of friends. But – and this is so important – I encourage you to read this Gospel without consulting the experts first. before you listen to what some book says about it – even if books written by the greatest scholars. Why should you listen to your own heart first? Luke, you may know, also wrote the Book of Acts. Acts is not only the second volume of Luke’s masterwork, it is the book that records the work of the Holy Spirit, the same Spirit poured out on you and me. That same Holy Spirit will always meet us in the Gospels – speaking first to our hearts, then to our minds, and finally to our innermost souls, calling us to keep working to prepare the way of the Lord. In seminary, I always read the experts before I wrote an essay or a sermon, to be sure I got my facts right – because that’s what my professors were looking for. leading experts on preaching, and the author of many books on Christian education for all ages. That first afternoon, the classroom was filled with clergy from around the country and from several denominations, all of us eager to meet this popular author in the flesh. “Never read the experts first – always read the Scripture first. “You can always trust the Spirit to speak to you…. and if you don’t hear it right, you can trust the Spirit to correct you. This author of many books wasn’t telling us that books and knowledge aren’t important, he was just saying that books and guides are not enough. We need to begin by listening to the Holy Spirit speaking in our own hearts, and only then listen to what others have to say. This coming year, let’s prepare the way for the Spirit’s coming into our own hearts, into our own lives, into our own communities. Let’s roll away the rocks, sweep out the sand, fill up the potholes, and straighten the old crooked pathways…. to make room for the God who yearns to turn our hearts, and our world, upside down. Preached at St. Patrick’s Episcopal Church, Kenwood – December 9, 2018. Some of the most important people in the Bible are nameless. The widow in today’s Gospel is surely one of them. When Jesus saw her putting her coins into the Temple treasury box, he pointed her out to his disciples, as an example for them. But what was she an example of? It’s true that the poor among us are much more likely to give sacrificially than the rich – perhaps because no one knows better than the poor what poverty feels like. But have you ever thought that Jesus is not talking about money here, but about something else altogether? So let’s step back from this widow for a moment, and look at the context in which her story has been set. Mark’s Gospel has been telling us that this week is Jesus’ last week on earth. The week began when he entered Jerusalem, riding on a lowly donkey, while massed Roman legions were marching through another gate to maintain order during the Passover. Then Jesus went into the Temple and drove out the merchants who had set up their tables in its courts, selling their wares and in the process swindling the poor. Returning to the Temple the next day, he sat down to teach his disciples and the others who crowded around him. He warned his disciples to watch out for the self-important people who were walking proudly through the Temple, ostentatiously depositing their offerings in the treasury – the same people who took away widows’ houses and scorned the poor. And that’s when Jesus pointed to this widow, putting her last coins into the treasury box. In just two more days it would be Passover, and the Last Supper, and the night in Gethsemane, and the trial before Pilate, and the cross on Calvary. Just like this poor widow, letting her last coins fall into the treasury, Jesus was pouring out his life – teaching, healing, giving, suffering, dying. At that moment during supper, his disciples were afraid, but they still didn’t know what was about to happen. Later on they would remember what Jesus said, and meditate on the lengths he would go to serve others. And later still, they would begin to understand the example he had set for them: he was not only giving himself for others, but calling them to do the same. The New Testament only begins to make sense when we understand that it was written for Jesus’ disciples – and when we begin understand that we are Jesus’ disciples, too. So, if we are his disciples, we are called to give ourselves for others — to pour ourselves out, not just into Temple treasuries or into worthy charities, but into the world around us. But to walk the road that Jesus walked – to walk the way this widow walked – that is so hard! How can we learn to offer ourselves, as she did – as he did? I’ve come to understand that prayer is the first step toward offering ourselves for others. I’m not talking about prayers when we’re using words, whether we’re in church, waking up in the morning or going to bed in the evening, or at times throughout the day when we are stressed or drawn to the needs of others – although of course this kind of prayer is necessary. And I’m not talking about those times when we’re prayerfully reading, or listening to music, or looking at art, or walking in the natural world, reflecting on the presence and meaning of God in our lives – although of course this kind of prayer is necessary, too. And I’m not talking about those times when we’re listening to (or watching) the news, feeling our hearts going out to people who are being threatened by fires, crushed by earthquakes, drowned in storms, murdered by guns, rejected for the color of their skin, persecuted for their religious faith – although this kind of prayer is necessary, too. I’m talking about simply opening our hearts, our minds, our selves, to God – so God can be with us throughout the day, throughout the week, throughout the year, going with us wherever we go. Or to say it more accurately, so we can be with God throughout our days, throughout our weeks, throughout our years, going wherever God takes us – following Jesus wherever he goes. Why would you really want to do that? Perhaps you would let the Other cross your inner threshold to see something or to touch something. But to allow the Other into that place where your most intimate life is shaped – that is dangerous and calls for defense. An elderly woman brought to a psychiatric center… She was wild, swinging at everything in sight, and frightening everyone so much that the doctors had to take everything away from her. But there was one small coin which she gripped in her fist and would not give up. In fact, it took two people to pry open that clenched hand. It was as though she would lose her very self along with the coin. If they deprived her of that last possession, she would have nothing more and be nothing more. That was her fear. 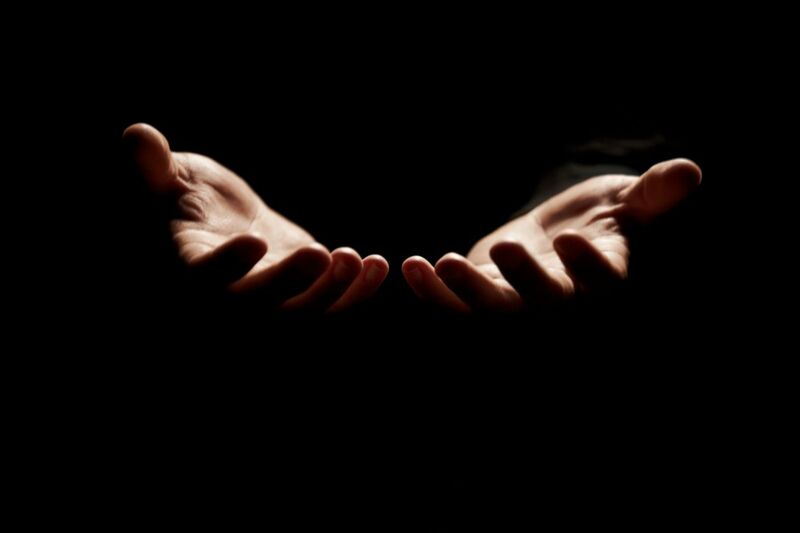 That day in the Temple, when Jesus watched the widow pouring her coins into the treasury, he saw that she knew how to open her hands wide. He watched her letting go of her fears for the future. Can we also look at this woman, and learn how to follow her – to that place where we become willing to let God lead us into our future? * Henri Nouwen, With Open Hands. Ave Maria Press, 1995. We can hear today’s Gospel speaking directly to us, through the power of God’s Word – words first spoken by Jesus, words echoing down through the centuries, words which still call us today: Come, follow me. Perhaps no story in Christian history shows the power of this Gospel more than the story of St. Anthony of the Desert. 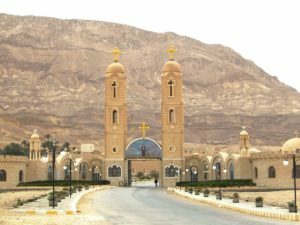 Anthony was born in Egypt, the child of Christian parents, only 200 years after the first Christian churches were established. As a child Anthony loved to go to church with his parents, and he listened to the Scriptures read in church so carefully that he remembered them for the rest of his life. Now when Anthony was about twenty years old, his parents died, leaving him with all their property. A few months later, on his way to church, Anthony was thinking about a Scripture he had heard on a previous Sunday: How the first Christians had sold their possessions and gave the proceeds to the Apostles for the care of the needy (see Acts 4:35). When Anthony heard these words, he felt they were spoken directly to him. So he sold the property he had just inherited from his parents and – setting aside some of the money for the care of his younger sister – he gave the rest to the poor. Then, taking only a wooden staff and his cloak, Anthony walked out into the desert, where he would spend the rest of his life. and you will have treasure in heaven; then come, follow me. his old wooden staff and two sheepskin cloaks. In the end, that’s all Anthony had left – two cloaks and a wooden staff. Throughout his time in the desert, Anthony’s only wealth came from his love of God and from the Word of Jesus. So Anthony’s story is really a story about the power of God’s Word. But his story is also a story about the power of human wealth. By the middle ages, even though they were founded upon the teachings of St. Anthony and those who followed him, many Christian monasteries had become fabulously wealthy because they held onto the money and possessions given to them over the years. How hard it is to hear the Gospel in the face of wealth, even for those monks who heard it every day of their lives! Wealth, in Anthony’s time as in ours, always has the power to drown out the Word. Unless the Word is planted so deep in our hearts – teaching us to love others, constantly calling us to share what we have – wealth can keep us from hearing the Word. Wealth, in our time as in Anthony’s, builds up over the years; we can hold onto it and treasure it, and at the end of our lives we pass it on to our heirs. And the Word, in our time as in Anthony’s, can enter deeply into our hearts, working there until it prods us into action. But the Word can also go right over our heads. Others will make a practice of giving away some of what we have: from the ordinary giving of everyday people, to the extraordinary giving of some of the richest people in our country today. Anthony heard Jesus tell him to sell everything, and walk out into the desert. Very few of us are called to live in the desert; but all of us are called to walk the Way of Love. The Way of Love will be different for every one of us, but those who have been taught how to love, and those who have learned how to share, can learn to resist the call of wealth. In Anthony’s life, it was his parents who taught him to love Jesus, and to love the word he heard in church. In my own life, it was my grandmother, who showed me her love of Jesus, and taught me to share with others. Who taught you the Way of love? The Word of God is the Word of Love. Love was the Word that hovered over the waters of chaos, at the very beginning of time. The Word of Love lived deep in the soul of Jesus, who looked on that rich young man and loved him, even though he knew that the man would not find the strength to follow him. And the Word of Love is still working through the Spirit, who breathes through us here today. It is the Word of God, the Love of Jesus – who loves us all, and connects us all – who calls us all to share what we have been given. 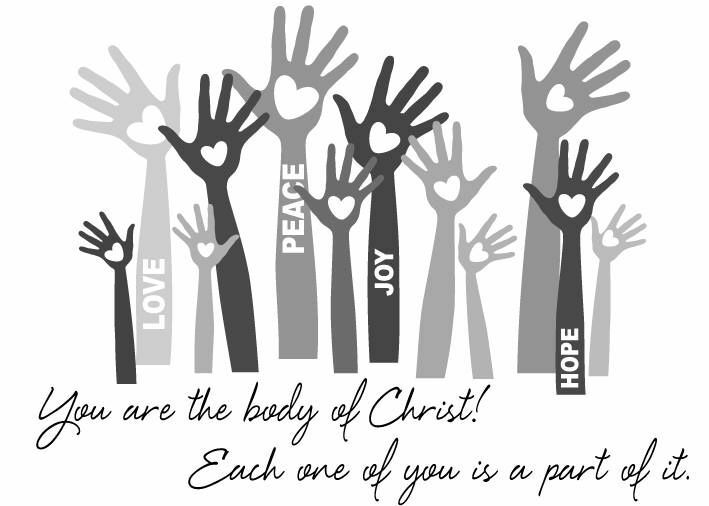 My prayer for all of us today is that we will hear these words of Jesus, letting them penetrate deep into our hearts, helping us find the Way of Love, and helping us to share more of what we have been given. And my prayer for Leela and her family today is that she will someday hear Jesus’ words, and remember Jesus’ words throughout her life: Come, follow me. What does it tell me about the world that Jesus lived in? In today’s gospel Jesus has traveled beyond the border separating Galilee from the land of the Canaanites. Today there’s a heavily militarized border there between Israel and Lebanon. But there were no borders under the Romans – you could go almost everywhere, because Rome kept an iron grip over every people around the Mediterranean Sea. But even without borders, there are always walls between people. It seems that we humans have evolved with the need to protect ourselves from “the others” – that is, anyone who is different from us. And so today we’re still building walls — between peoples, languages, sexes, classes, and religions. Today’s Gospel shows us this tendency even in the human Jesus: His culture and his Scriptures were telling him that he was called to the people of Israel. He believed that he had been sent to bring the lost sheep of Israel back into the fold. He was probably visiting a Jewish home in Tyre. (It’s still a city in southern Lebanon today, bombed for decades now by Israeli planes and armies.) But into this Jewish home comes a Canaanite woman, begging healing for her daughter. And now we see Jesus changing his mind – he begins to understand that his call is not only to his own people, but to anyone seeking the love and mercy of God. Jesus changed his mind? Now the story gets interesting! Maybe Jesus wasn’t born knowing everything. Maybe he had to learn and grow — just like us — and maybe he, too, had to stretch his mind to see his world as God saw it. Perhaps Jesus was divine not because he was all-knowing, but because he knew how to open his heart to God. Perhaps, growing up, Jesus had to learn how to listen — and how to be aware of the needs of others. Perhaps Jesus also had to learn how to pay attention to his own deep feelings, and then to reflect on the meaning of these things. (Perhaps he learned to “ponder these things in his heart”, as the gospel says of his mother Mary). in that place where God lives. And in learning to “dwell” – listening, feeling, reflecting, praying – he learned to understand where God lives. But notice, in this Gospel story, that Jesus also found the strength to return to God whenever he found himself off-base, whenever he was wrong, whenever his vision was incomplete. Can you do that? Can I do that? Usually I can understand what’s right and what’s wrong, and often I can see where God dwells, but still it’s hard to move myself to that place. Yet that’s what we see Jesus doing in his encounter with the Canaanite woman. with a unique ability to stand where God stands. 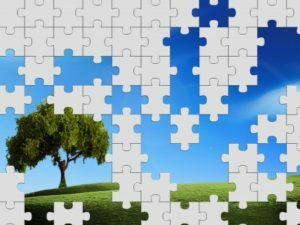 What can we learn about Jesus’ world (and ours)? We humans have always lived in a world of walls, and even when the walls are breaking down, our first impulse is to build new ones. What can we learn about God from this Gospel? The God of Jesus Christ builds no walls, but embraces the world. The early church had to remember the Canaanite woman. 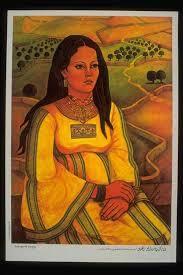 They had to remember her because she taught Jesus about the breadth and height and depth of God’s love. And so, down through the centuries the Canaanite woman has been teaching the church about God’ love, through this Gospel we’ve heard today. through every culture, every birth, to draw an answering love. he calls and claims us as his friends, and loves us as we are. he sees not labels but a face, a person, and a name. to welcome and accept his own, as Christ as accepted me. Amen. 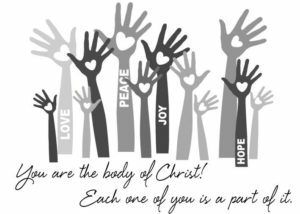 Preached at St. Patrick’s Episcopal Church, Kenwood – September 9, 2018. Then Jesus came to the Jordan, to be baptized by John…. The Jordan River winds through the whole Bible, a sacred symbol for Jews, Christians, and Muslims. Jews remember that their ancestors crossed through the Jordan into the promised land. Christians remember that Jesus came there to be baptized in its waters. And Muslims remember Muhammad, whose closest companions were buried there. In today’s Gospel Jesus steps into the Jordan…. not just to be baptized in a symbolic action, but to be completely drenched in the river. Are you ready to step into the waters, too? As a young boy, Jesus probably climbed into the mountains north of his home in Nazareth, perhaps even reaching the springs that feed the river near Mt. Hermon. 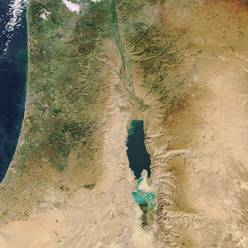 He would have hiked around the Sea of Galilee, formed by the river over many centuries. And as a grown man, after his baptism in the river, we know he climbed into the dry hills above the Jordan, to wrestle with his call to ministry. I invite you to walk the Jordan River with me this morning. We could choose to hike along the Colorado River, sacred to the Native Americans who live along its banks, dammed by American engineers, and diverted to American farms before it reaches Mexican land. Or we could walk along the Ganges as it rushes south through India and Bangladesh, or along the Nile as it winds through the nations of North Africa. We could be walking almost any river on Earth, because every river has ecological, human, and spiritual value to the people who live nearby; but we’re walking the Jordan today because it already has spiritual value for us, and it is crying out for practical solutions to its many problems. 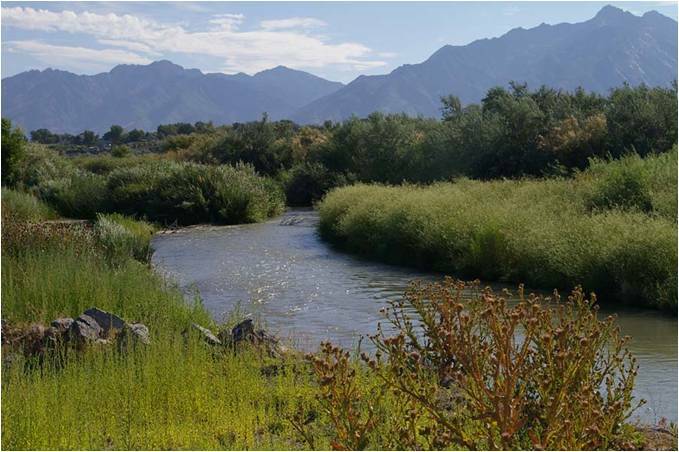 For a river with such mighty meaning, the Jordan River is very short – only 156 miles long. It was once more than 75 feet wide, flanked by willow trees and poplars and filled with fish that could be eaten; but today, at its best the Jordan is less than 6 feet deep. It’s become more like a creek than a river. 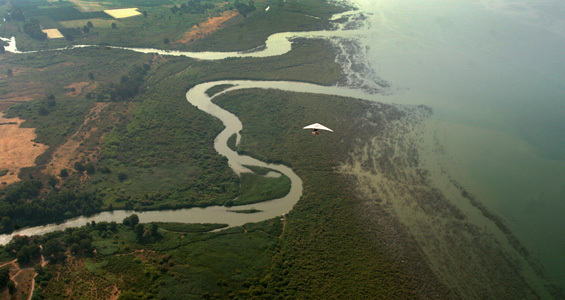 The river flows through some of the most dangerous and disputed land on Earth. Its sources begin in the mountains where the borders of Lebanon, Syria, and Israel meet. Then, below the Sea of Galilee, the Jordan forms the border between Israel and two Arab nations. But the crisis facing the river Jordan involves more than international politics. Today environmentalists blame Israel, Jordan and Syria for crippling damage to the river and its ecosystem. 70% to 90% of the river’s waters are used for human purposes along the upper Jordan, and the remaining water comes from sewage and the contaminated agricultural run-off. Just below the Sea of Galilee, the modern pilgrim comes to Yardenit, where the Israelis have created a pool of clean water. Every year more than 600,000 pilgrims come here, to step in the water, to be baptized, or to be re-baptized. 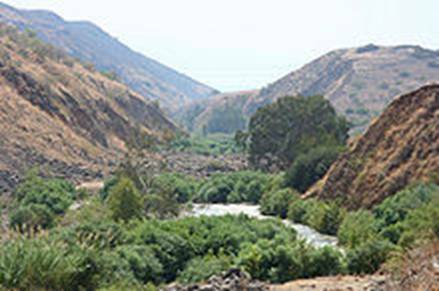 If you only saw the Jordan here (as most Christian pilgrims do) you might think that the Jordan River is still robust and vibrant. 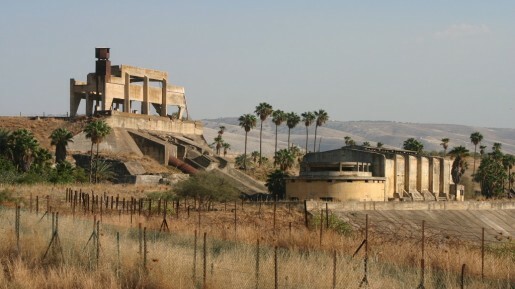 But just a few miles south of Yardenit, we come to the Alumot Dam, which diverts the fresh water into Israel’s national water carrier. A small sewage treatment plant processes the rest, sending a thin stream of brownish-yellow sewage water back into the stream. 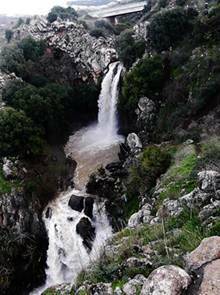 As the river continues south, the sewage from thousands of Israelis living in the upper Jordan Valley; from thousands of Israeli settlers and Palestinians on the West Bank; and from a quarter-million Jordanians provides the Lower Jordan River with most of its water. A few miles south of Alumot, we come to the “Island of Peace”. To find an Island of Peace anywhere in the world is rare, but to find it in the Middle East is a miracle. The land here is Jordanian, but it’s owned and farmed by an Israel kibbutz. 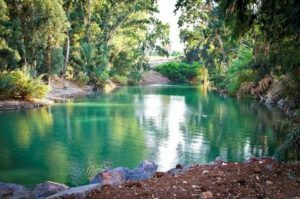 100 years ago, kibbutz leaders received permission from Jordan to build a hydroelectric power station, and the canals and dams built for the station created an island. In spite of continuing conflict Israel ceded the area to Jordan 25 years ago, as part of the Israel-Jordan Treaty of Peace. Jordan agreed to lease it back so the Israeli farmers could continue to cultivate the land. The kibbutz on the Island of Peace continues to this day; international pilgrims still visit; and Friends of the Earth – Middle East hope (now called EcoPeace) hopes to create a “Jordan Peace Park”. 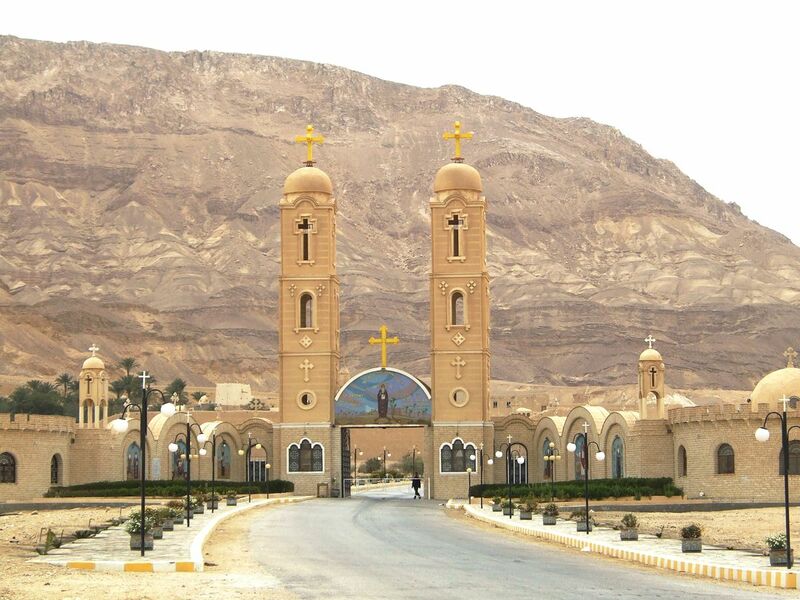 A few miles south of the “Island of Peace” we come to al-Maghtas – or “Bethany beyond the Jordan”. 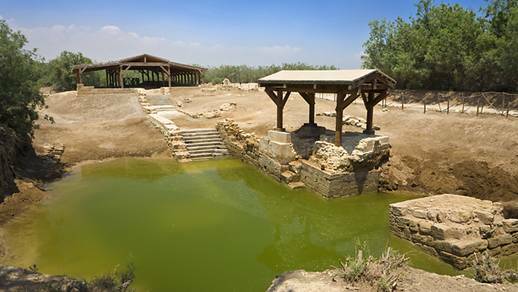 This is the traditional site of Jesus’ baptism – honored and visited for nearly 2,000 years of Christian history. Today pilgrims walk down steps that led to a deck on the river’s edge, and – if they dare – can step into the Jordan’s waters. “One look at the river and we understood why we came on the trip. It was pitiful. The Jordan River, for all its fame, was a narrow brownish stream that gurgled its way south. On the opposite side, just a few meters away from us in Jordan, was a similar wooden deck where tourists came and went. Sometimes our convictions about spiritual truth the can blind us to material reality. A few more miles, and we come to the Dead Sea. The Jordan always ended here; the waters have no outlet because the sea is so far below sea level. 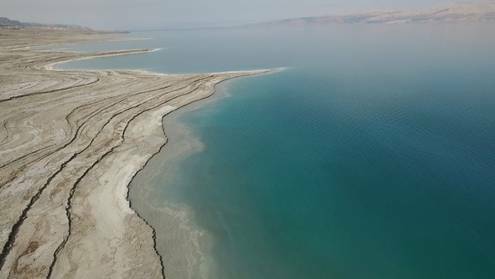 But today the Dead Sea is truly dying, shrinking by the day as its waters are drained away for human use. More than 3 million refugees have fled Syria to date, and over half a million have settled in bone-dry and water-impoverished Jordan. 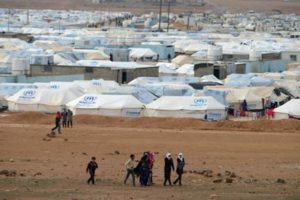 Environmental issues are understandably a very distant second to humanitarian concerns, but the rising numbers of refugees needing water have reduced the river’s flow to a trickle. One of the Jordan’s major tributaries, the Yarmouk River, flows southwest out of Syria and forms the border between Syria, Jordan and Israel. Nearby is the Za’atari Refugee Camp, the second largest refugee camp in the world and now the fourth largest settlement in Jordan. EcoPeace Middle East is an international organization active in environmental peacemaking. With 40 paid employees and hundreds of volunteers, EcoPeace publishes scientific and social research, spearheads national-level advocacy campaigns and engages in grassroots community development. One of EcoPeace’s major goals is the rehabilitation of the Jordan River and the Dead Sea. Its Good Water Neighbors project engages residents of all ages, mayors and municipal representatives in 25 communities throughout all three countries in a united effort to rehabilitate the regions’ shared water resources. Amazingly, considering the region’s problems, EcoPeace has made surprising headway in encouraging cooperation to save the river. Impossible? 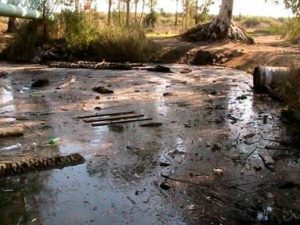 The work EcoPeace has done with local councils and the media has created a public outcry which in turn has convinced the local authorities near the Sea of Galilee to finally build a sewage treatment plant, which will treat the waste and then use that water for other purposes. A proposed Jordan River Peace Park is another source of hope to EcoPeace . Its leaders envision an island national park where Jordanians, Israelis, and Palestinians, who so seldom meet, might congregate and try to overcome their differences. What are we going to do about water? This has been another week when we’ve felt defeated by American politics, alarmed by world leaders threatening war, and overwhelmed by monster hurricanes and earthquakes. Can we muster any energy to save earth’s waters? Every worth-while task is daunting. 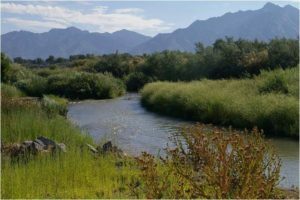 It doesn’t matter whether you want to save the salmon in the Columbia River or the Morro Bay Estuary, share water equitably from the Colorado or the San Joaquin delta. It doesn’t matter whether your water issue starts with underground wells in Cambria or Paso Robles, or the with the cost of treating sewage in Los Osos. But if Israelis and Jordanians can maintain an Island of Peace in a region of war, what could we do here? I know that everyone here this morning is already personally doing something to care for the environment. We’ve learned to recycle, take shorter showers, stop using Styrofoam cups and plastic bottles – small personal actions that mount up when we do it together. But how are we working together to pressure our local officials, our national leaders, to make better decisions about water? If some brave Israelis, Palestinians and Jordanians can cooperate to save the Jordan River, can’t we muster the patience to deal with our own neighbors, with our community service districts, with our county, state and national leaders? though the mountains be toppled into the depths of the sea. though the mountains tremble at its tumult. As I see it, there are two ways to respond to what this psalm is saying. We could hear it saying, Don’t worry, leave it to God. Or we could hear, God will give you strength to do the work before you. Every worth-while task is daunting, but that doesn’t mean it can’t be done. 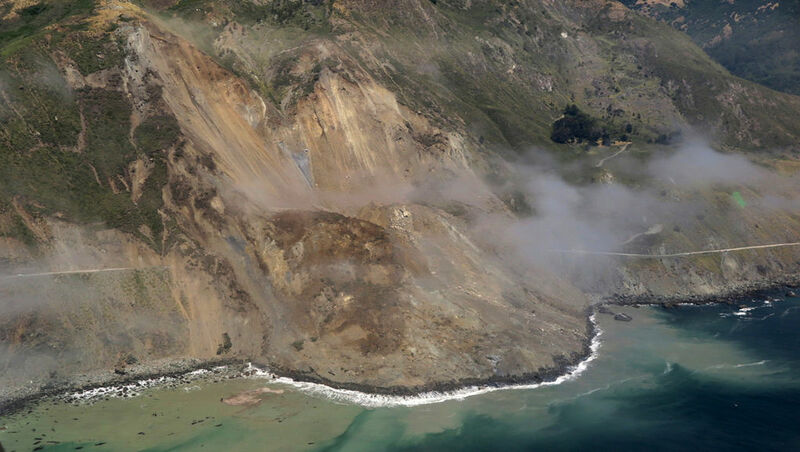 Yesterday when Rob read this verse – the mountains toppled into the depths of the sea – he was reminded of the great slide on Highway One north of us – and the mind-boggling challenge of repairing it. So Rob asked, should we wait for God to fix this – these mountains that have tumbled into the sea – or can God give us strength – the strength to decide to fix our infrastructure, to repair our roads and our dams, and then agree to pay taxes so the state of California can fix it? Rob says that’s one thing he can do.